I’m now well into the swing of my perfume review series but if you’re new to my blog or haven’t checked in during the mornings of the week you might want to go back to the first one here and catch up otherwise enjoy. 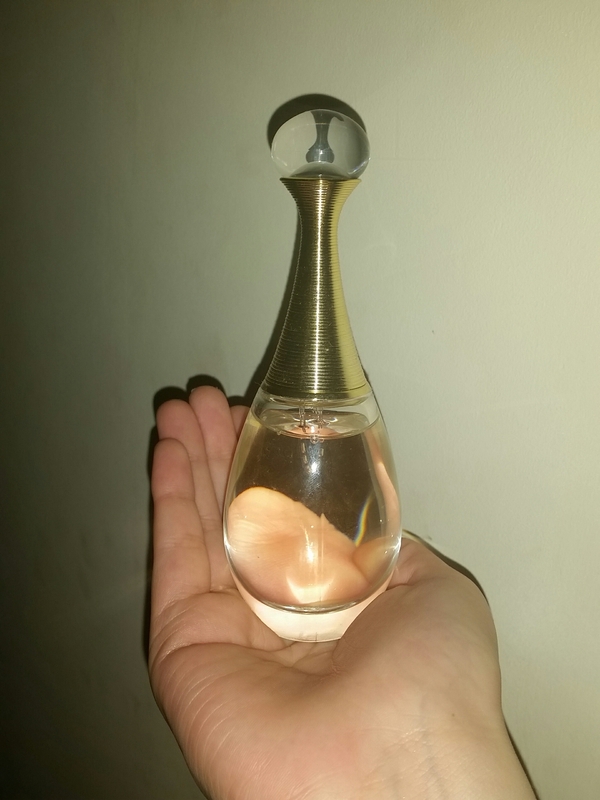 The story why I ended up with this perfume is long and complicated so I’ll avoid boring you with the details and reasons but I didn’t pay for this so I can’t really consider whether I think it is value for money or not. But can we please discuss the tube/pipe that goes into the bottle? I’m used to them going straight down to the bottom but this one is a U shape and looks like it has loads of gaps in it? Is this just how this style of perfume and brand works or do I have a bad one or something because I struggle to imagine how I am going to be able to get the perfume from the bottle when it decreases in level a bit more? I bought it from The Fragrance Shop so it is genuine. celebrating Ylang Ylang from the Comoro Islands, Damask Rose and Sambac Jasmine, J’adore Eau de Parfum unites the noblest of flowers from the garden of ingredients. The website also declares that it is a “fruity” fragrance as it is supposed to have hints of blackberry and mandarin but where either of those scents or any fruity tones are I am not really sure as my nose doesn’t pick up on them. This is possibly the most subtle and sophisticated perfume that I own. It really screams a perfume that somebody will wear without wanting it to be obvious to others that they are wearing a scent or ‘trying too hard’. It makes me think of a busy business woman whenever I wear it and I’d happily wear it to a meeting or in the office as it isn’t the sort of thing that will make others cough and be overwhelmed if they have a sensitive nose. I can’t even really pick up on the specific flowers and floral tones that are supposed to be present but it does smell generally floral and very enjoyable to me. I love this perfume so much but I often want something a little more fun or noticable so the reasons to use this are pretty limited at the minute but hopefully I can find suitable reasons to soon. If you are looking for a fragrance to wear to work that isn’t too strong, is iconic and long lasting then this is certainly for you but don’t be fooled by the term “fruity” because if this is it comes across in such a small way to how traditionally fruity scents are imagined.